Welcome to Palm Springs – a picture perfect desert resort city in California, with no shortage of history, attractions and entertainment for all ages. Conveniently nestled at the base of the Mt. 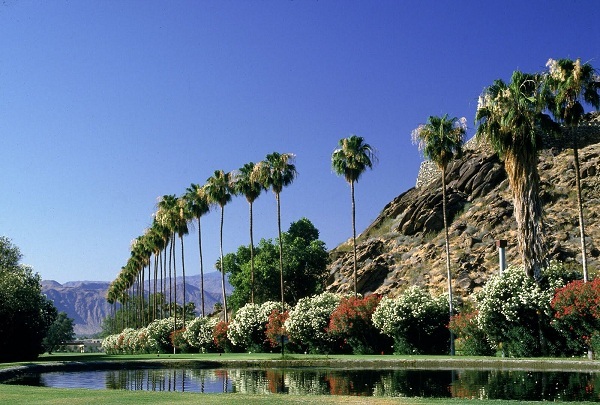 San Jacinto Mountains, Palm Springs is characterized by crystal blue skies, breathtaking landscape and year-round sunshine, not to mention the over 130 hotels and resorts of various categories. Take a scenic ride more than two miles into the air on the Palm Springs Aerial Tramway; indulge in luxury shopping in the uptown Palm Springs – the epicenter of designer retail; enjoy a covered wagon tour at the Coachella Valley Preserve; or simply relax by the sparkling pool – this and much more are waiting for you in this lively getaway that has long been a retreat of the rich and famous!